In the past, when an SME (small to medium enterprise) has sought out a loan in order to grow, they instinctively turned to their bank, where indeed most business funding has historically come from. However, following the financial crisis and credit-crunch-fuelled recession that subsequently ensued, mainstream banks have found themselves strapped with burdensome regulations that have prevented them from being able to deliver funds to the same extent that they used to. Indeed, the rejection rate of first-time SME borrowers now stands at around 50%, according to the UK Department for Business Innovation and Skills – a particularly frustrating situation as many of these rejected businesses have perfectly valid business plans that would lead to strong growth. An important question to answer before we continue. Crowdfunding (sometimes called ‘crowdlending’) is the process of raising small amounts of funds from large amounts of people (i.e. the ‘crowd’). 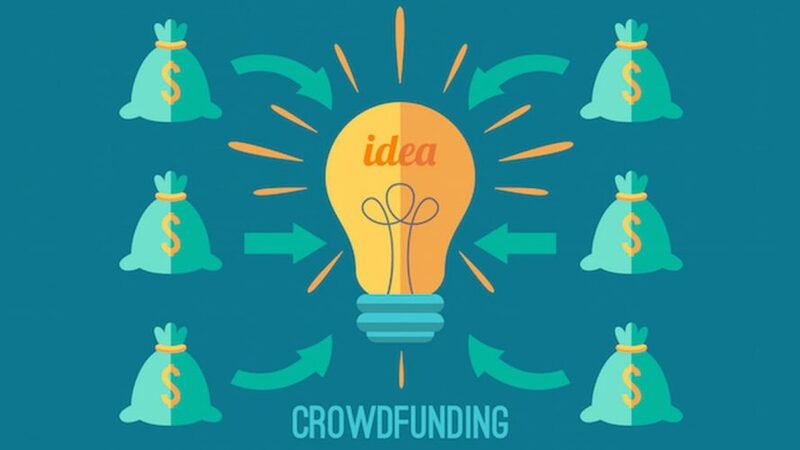 In practice, this is usually orchestrated online, whereby businesses sign-up to a crowdfunding platform and pitch their idea to a community of private individuals, who, if they like the idea, can respond by pledging a small amount of the total funds the business needs to reach its target. In return, investors will usually either receive a share in the company they are investing in (equity-based crowdfunding), or otherwise their monies repaid plus interest further down the line (debt-based crowdfunding). There is also reward-based crowdfunding, usually utilised by early-stage start-ups or private individuals seeking finance for a certain project, which enables people to access funds from the crowd in exchange for non-monetary rewards. For example, a musician who needs funds to record a new LP might reward backers with a copy of the finished record, or perhaps give them free tickets to a live show. Now – with banks either refusing or unable to lend, crowdfunding has, for many SMEs, become the go-to option, rather than the alternative. However, traditionally, crowdfunding has been accessed by start-ups at the very early stages of their existence. This segment, as Luke Davis, founder of crowdfunding platform Crowdfinders explains in a recent interview with The Guardian, is now well-served by the crowdfunding sector – it’s scale-ups that need the boost. In an effort to combat this, Davis has launched a specialised crowdfunding platform called Race To Scale, which is designed specifically for growth-stage SMEs seeking funds to scale-up their businesses. The initiative is essentially a hybrid solution made accessible exclusively to established SMEs, who can bid to secure funding between £100,000 and £5 million from partnerships formed by private lenders and third-party crowdfunding platforms. What Other Crowdfunding Platforms for Business Finance Are There? Race To Scale is of course just one crowdfunding option available to development-stage SMEs. In a maturing sector that is now in 2017 evolving to cater increasingly for scale-ups, there are number of alternatives out there. Below, we have listed a further three of the most active crowdfunding platforms on the market that have programs designed for the particular needs of scale-ups. With a name that makes clear reference to what is perhaps the best-known crowdfunding platform for individuals and start-ups (Kickstarter), Kickfurther is designed for businesses who have outgrown this start-up platform and need larger loans to keep growing. Specifically, Kickfurther provides debt-based crowdfunded loans for inventory financing, and, in order to be eligible, businesses must have completed at least one successful production run. Crowdcube is another great crowdfunding platform for scale-ups. Backed by a crowd of everyday investors, VC firms and angels, the platform now invests an average of £1 million every week in companies at all stages of growth. You can offer the crowd two types of investment opportunity with Crowdcube – equity and mini-bonds. Although Indiegogo is perhaps best-known for its rewards-based funding program for start-ups, the platform now caters well for scale-ups also. This has been made possible through its new equity crowdfunding initiative in partnership with MicroVentures, which enables the crowd to invest in growing companies in exchange for shares. That’s it for Part 1. In Part 2, we’ll walk you through the best practices for launching a crowdfunding campaign, and how to promote it across your digital channels. Accessing funds for growth is critical for all businesses looking to scale-up their operations. If you’re in need of help with your crowdfunding venture, then please do not hesitate to get in touch with us here at Cope Sales and Marketing – www.cope-salesandmarketing.com. Please browse our site to find out more about our services, and use our Contact Page to reach out. Looking forward to hearing from you! Complete the form to get instant access.